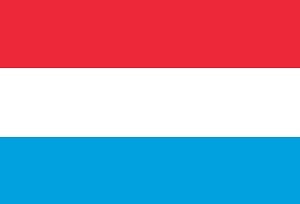 Officially named the Grand Duchy of Luxembourg, this small country covers 2.586,4 square kilometres. The government is, as the name suggest; Unitary parliamentary constitutional monarchy. 580.000 people live here, of which 74% are Christians, 20% have no religion, 3% Muslims and 1% Buddhists. The currency is Euro, worth 7,46 Danish Krone. The GDP is US$60,176 billion. Despite the inland position, Luxembourg has an oceanic climate. Among the mammals are European otter, wild boar, weasels and bats. The only real interesting plant must be Taraxacum leucosquameum, although it does not different much from T. vulgaris. 5/4. I drive straight through Denmark and Germany, as the spring have not reached them yet. There are quite some dunes of snow in Denmark, and I have to drive 600 kilometres down in Germany, to see the first sighs of spring. The first bit of the road is through quite some fog. The Farø Bridge is hard to see, and so are the cars in the northern Germany. At least, the navigation is easy; From the ferry, I just have to stay on the A1 for 550 kilometres. Just as I'm about to leave it, the landscape finally change a bit, and it no longer look like Denmark: Some low rocky outcrops make a bit of dents on the else so flat landscape. Then, the trees have real big buds, and some have already sproughted. The thorns are flowering along with the early cherries. The grass is green and the first flowers are dotting it. To add to the great feeling, the sun starts to peek out, and the warmth can be felt. I reach the camp in the German town of Echternacherbrück at five, just as they are about to close. I get a site, right next to the border river; Souer for €9, and park the car. The sun is shining, and despite I have driven 888 kilometres with no other stop than the ferry, I feel fresh, and go for a walk. An old stone-bridge crosses the river 100 metres away, and then I'm in the Luxembourg city of Echternach. Here are some nice old buildings, among them the Basilica. I do the pedestrian street through town, and some alleys. Then it is home to eat the lunch, brought from home. As the sun sets, the temperature drops considerable. Despite the altitude is around 200 metres, the night is cold. Never the less the blackbirds give a nice concert. Due to the weather and concentrated driving, the amount of photos is limited. So are the experiences, and the work of the evening is soon done. While I work, I brew a cup of tea on my alcohol-burner. Photos of the day: Day 1. 6/4. It turns out to be a real cold night, and I hardly get any sleep. The thick duvet I considered leaving at home, was not enough to keep me warm, and it feel as I haven't slept at all. It take quite some effort, talking my self into getting out of bed in the morning. The grass is covered in rime, the car steamed, but the sun appears at nine. I have two sights here; the Basilica I saw yesterday, and the Müllerthal Trails, leading through nice nature and a narrow gorge. It starts only a kilometre from the camp, but the GPS have a frostbite, and take forever to charge. Then again, the temperature is climbing slowly above cero, and I'm in no rush. Strangely enough, I end up in a part of the town, on a hill side, but no visible gorge The trail might start here, but I find no signs. Further more, the vegetation look so familiar anyway. I head on, and outside of town, I find some nice beech forest with bedrock. Here are almost only familiar plants, except from what appears to be Mormon Tea? As I head on through the hilly and mainly forest and agriculture covered landscape, I wonder where the natives live, and where the banks are? I get an answer to that, when I reach Luxembourg City. It is a mix of old beautiful buildings and nasty concrete banks and alike. I see some of the old quarters with majestic blocks. I park a bit away form the main pedestrian street, but I have to have a closer look on the huge gorge, cutting the city in two. A small stream runs in the button, and it must have taken it quite some time, getting down there! The centre is dominated by cranes and construction sites. I find the Promenade; the central pedestrian street, but I fail to find its appeal. Might be the temperature, but I have see way more interesting old main streets. I head out of town, and are soon at the lovely countryside. Here are numerous tunnels, which seems a bit strange, as it is only low hills. Either they want them because the neighbours have it, of to maintain the countryside? The tunnels are light, clean and ventilated. I find a few detours via narrow countryside roads, but here don't seem to be many. The next site is Château Bourscheid, which should be Luxembourg's finest. It is found in a rocky area, way out in the countryside. It is a ruin in some parts, but generally well maintained. It have been build over milliners, and the stiles are a mess. The view over the Souer River is great, along with the forest and green fields. I see a few of the local lizards; Podarcis muralis brogniardi. I find a narrow road, leading through the country to Belgium, and enjoy the drive. It is through huge hills with farmland, forest and tiny villages. I am sure one could find more sights in Luxembourg, but it look a bit too much like the prettier parts of Denmark, and I have so much more to see. Photos of the day: Day 2. I have visited Luxembourg for only one day, taken 236 photos, driven 120 kilometres, and spend a total of €7,50. The adventure continues in Belgium.